January « 2018 « S.L.Á.T.U.R. Hin virtu S.L.Á.T.U.R. samtök fagna að venju nýju ári með tónleikum þar sem gefst að sjá og heyra hvað efst er á baugi í nýrri íslenskri tilraunatónlist. Meðlimir samtakanna, þ.á.m. Páll Ivan frá Eiðum, Guðmundur Steinn Gunnarsson, Bergrún Snæbjörnsdóttir, Magnús Jensson, Þorkell Atlason og Ingi Garðar Erlendsson hafa að þessu tilefni unnið ný verk sem eiga það sameiginlegt að vera flutt af aðeins einum ákveðnum flytjanda, Áka Ásgeirssyni. Ýmis hljóðfæri, aðferðir, tölvur, tæki og tól verða notuð á tónleikunum sem verða án efa skemmtilegir, rannsakandi og hugdúndrandi í anda S.L.Á.T.U.R..
Áki Ásgeirss & Sólveigarson hefur verið virkur í jaðartónlistarsenu Reykjavíkur undanfarin fimmtán ár, bæði sem tónskáld, hljóðlistamaður og flytjandi. Áki hefur stundað spunatónlist, raftónlist, listforritun og tónsmíðar auk þess að starfa við kennslu í ýmsum greinum tæknivæddrar tónlistariðkunar. Mengi, Óðinsgötu 2, January the 20th, at 9 PM. House opens at 8:30 PM. Tickets are 2.000 kr. The S.L.Á.T.U.R. composer collective has since 2007 hosted a New Year Concert. This time, new works by various members of the S.L.Á.T.U.R. group are performed by Áki, who is an active sound artist and experimental music performer from Garður. The programme includes works by Páll Ivan frá Eiðum, Guðmundur Steinn Gunnarsson, Bergrún Snæbjörnsdóttir, Magnús Jensson, Þorkell Atlason and Ingi Garðar Erlendsson. S.L.Á.T.U.R. is a composer collective centered in Reykjavík, Iceland. Since 2005 its members have been working on various types of experiments. These include animated notation using computer graphics, interactivity, various experiments with sounds and tunings, performance art and the development of limited and isolated musical universes. The members share ideas and methods freely while the final results are usually independent efforts. The S.L.Á.T.U.R. collective has organized various events, concerts, workshops, festivals and art competitions in Iceland. The overall objective of the organization is to very gradually develop an entirely new culture. 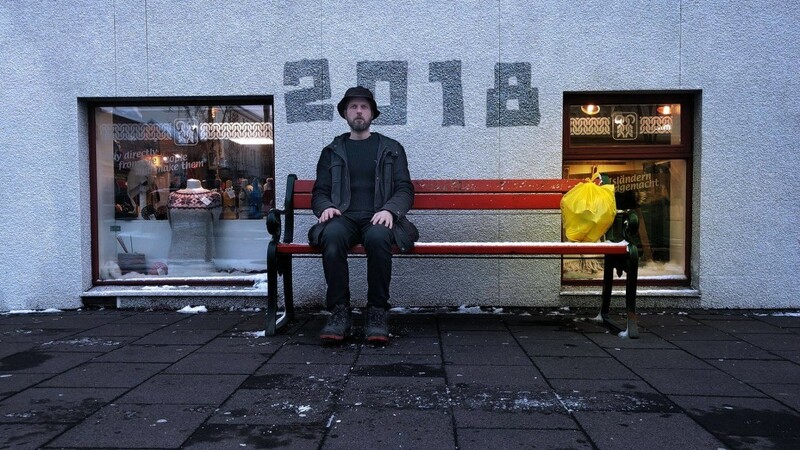 Áki Ásgeirs & Sólveigarson (1975) is a composer and multimedia artist from Garður, Iceland. He has written music for traditional instruments as well as designed new acoustic instruments, music software, computer controlled instruments and sound installations.